You use your garage for many purposes. It protects your vehicles from the elements, can be used as a workshop, and serves as extra storage space. If you’d like to maximize your garage’s potential, you should consider using these four tips and tricks to increase your garage storage space. Plastic tote containers are great for increasing your garage storage space in a quick and efficient way. Stackable and translucent plastic tote containers efficiently and easily store items. They are made of durable materials that provide protection from damage and dust. They’re also water-resistant and can be easily moved. Since they are clear, you can see what items are stored inside without having to open the lid and dig around. Store like items in the same category so you can tell which tote you need at a glance. The walls of your garage can be used from floor to ceiling to increase your garage storage space. 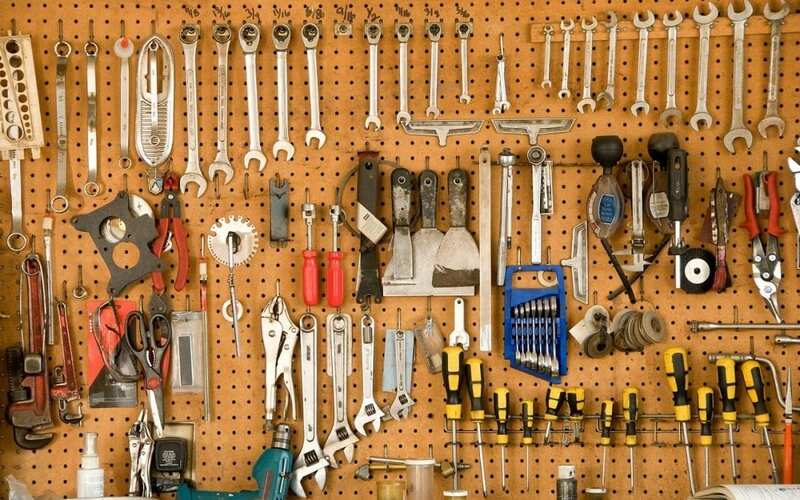 Install wall-mounted peg boards on your garage walls to provide vertical storage space for hanging tools, toys, and other small items. Metal hooks and brackets can hold heavier items like bicycles and sporting equipment. The storage space in your garage will open up once you start hanging things on the walls. Shelving units can help you to organize your garage and increase your garage storage space. Purchase and install shelves made from steel, plastic, or wood, depending on your needs. Steel shelving units will provide the strongest support for your heavy home improvement items, but they can also be more expensive than other shelves. Plastic shelving units are affordable, more mobile than steel shelving units, and easier to assemble. Unfortunately, they’re not as durable as steel and can bend or warp under heavy weight. Wooden shelving units provide a balance of durability, mobility, and affordability. You can even build a set of wooden shelves yourself. Use the rafters of the garage to hang items from large hooks, like sports equipment and bicycles. If you have trouble lifting a heavy bike above your head, installing a pulley system is an option. You can also lay a board over the rafters to create more space to stack clear totes. InspectorUSA provides home inspection services to Central Kentucky. Contact us to request our services.